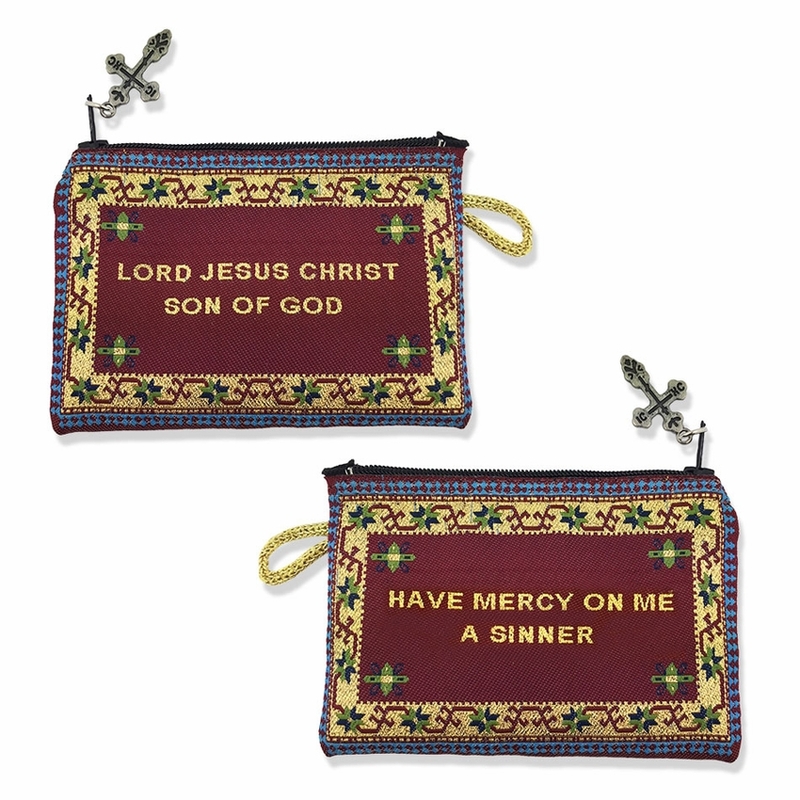 "Lord Jesus Christ Have Mercy on Me A Sinner" Reversible Tapestry Pouch Keepsake Case Holder Purse. This pouch can be used to carry prayer beads or ropes as well as a pocket Cross or icon.Regardless of how you use it, the pouch will be your constant prayer for God's mercy! THIS BEAUTIFUL TAPESTRY POUCH IS PICTURED ON BOTH SIDES. This icon pouch, lined with a zipper for closing, is perfect as a Rosary or Prayer Rope case. PRICE IS FOR TAPESTRY POUCH ONLY.